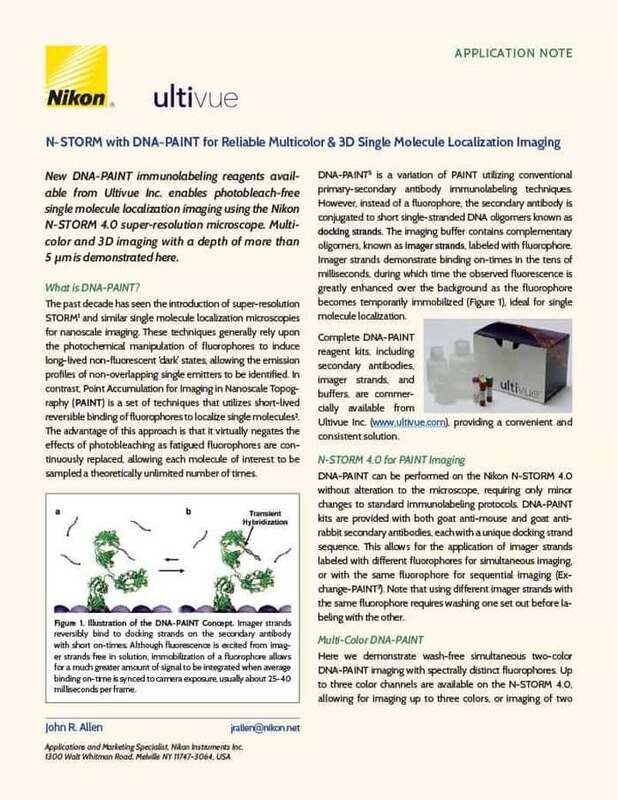 Application Notes | N-STORM | Microscopes à super-résolution | Produits | Nikon Instruments Europe B.V.
Nikon’s N-STORM super-resolution microscope is applied to mapping the distribution of nucleosomes on chromatin fibers, shining a light on the mechanisms of chromatin folding, gene expression, and pluripotency. 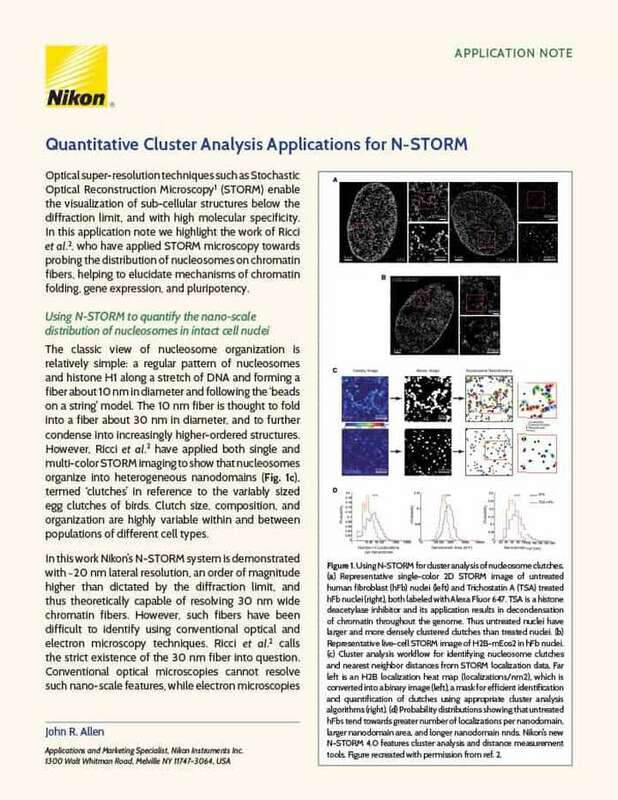 Multicolor STORM is used to explore how nucleosome distribution differs between differentiated and pluripotent stem cells and correlates with the distribution of other important factors in replication, such as RNA Polymerase II. 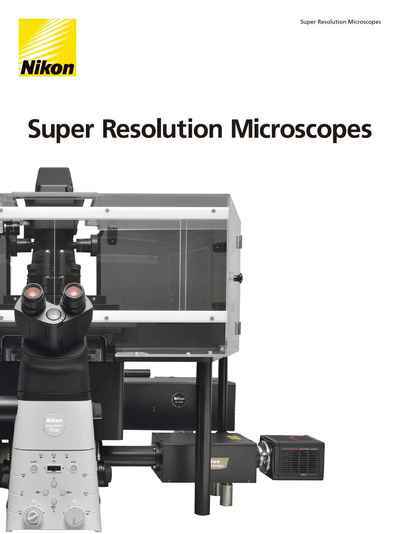 Stochastic Optical Reconstruction Microscopy (STORM) has had a significant impact on our understanding of nano-scale biological processes. 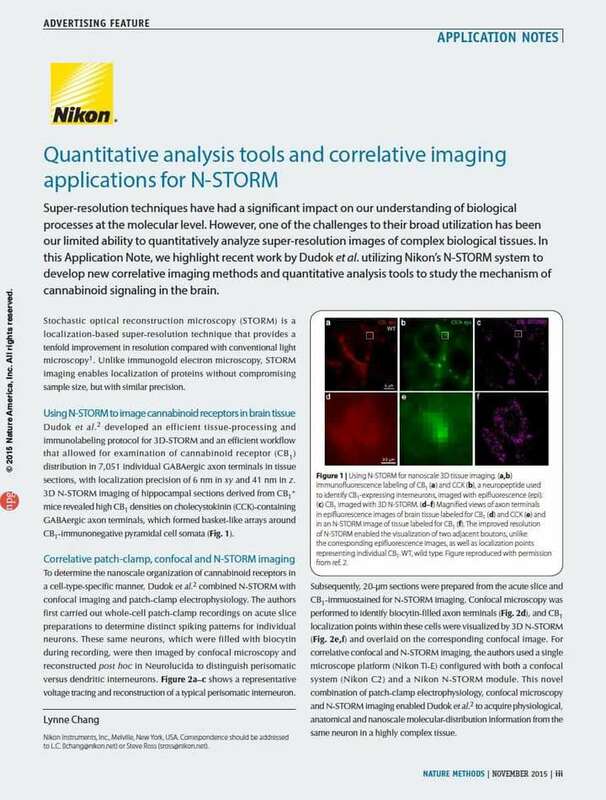 In this application note, we see how Nikon’s N-STORM system, combined with quantitative analysis tools, enables single molecule level studies of cannabinoid signaling in the brain. 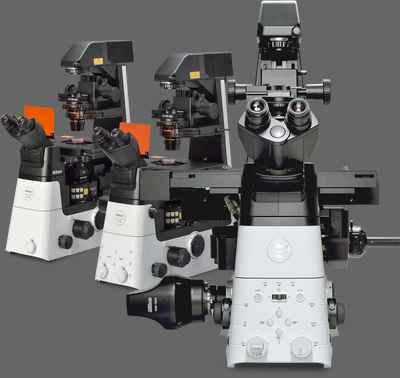 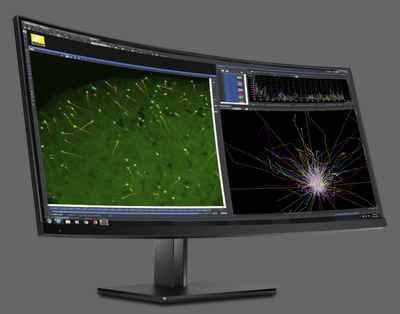 Correlative 3D-STORM, confocal microscopy, and patch-clamp electrophysiology is also explored.